The Permian Basin was the U.S. upstream sector’s top acquisition target for the fourth year in a row in 2017, according to new data from Evaluate Energy. As part of a new report that analyses the key M&A trends around the world from the past 12 months, Evaluate Energy shows that the Permian Basin dominated M&A headlines in the U.S. sector with $26.4 billion in new deals announced. This total was almost $15 billion greater than the $10.9 billion in new deals seen in the Marcellus shale, the next most popular acquisition target in terms of dollars spent. Source: Evaluate Energy M&A Review 2017, download here. “While the Marcellus shale did have a big year, and also recorded the largest individual U.S. upstream deal of the year with EQT Corp. acquiring Rice Energy Inc. for US$8.2 billion, the activity here just doesn’t match up to the Permian,” said Eoin Coyne, lead author of the new report in his role as Senior M&A Analyst, Evaluate Energy. The Permian doesn’t only stand out in terms of the U.S. domestic market, either. 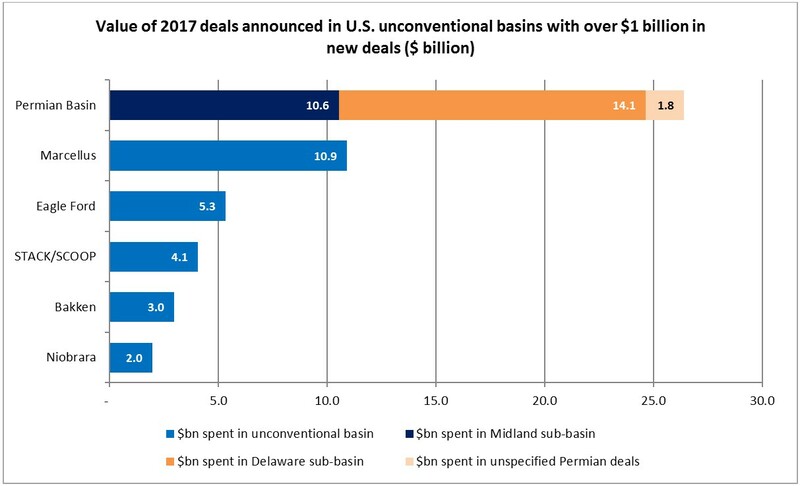 The US$26.4 billion invested in new Permian Basin deals, while marginally lower than the US$27.1 billion recorded in 2016, means that the Permian accounted for 16% of the total value spent on upstream deals last year worldwide. More information and analysis on 2017’s M&A activity in the Permian Basin and across the U.S. can be found in the Evaluate Energy report, which is available for download at this link. 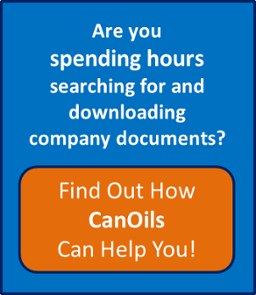 Join the Evaluate Energy & CanOils Markets and Investments eNews mailing list for updates and alerts on products, news, analysis and exclusive reports produced by our team of oil & gas professionals. Copyright © 2019 Evaluate Energy Limited.